Bhaskar’s Academy of Arts is an Indian arts group supported and funded by the National Arts Council. To date, it is the only Indian academy of the arts here in Singapore. The academy is proud to present their Kathakali Troupe and art gallery. Members of Kathakali are especially trained in Kerala which is famous for its use of vibrant make-ups and complex hand and eye coordination. The dance troupe has performed at shows or events like the National Day Processions, HeritageFest and the popular Singapore Arts Festival. It received recognition and support from spectators in Malaysia, Japan and Taiwan. Sri Warisan is popular for its Malay dance company. The dance company merges the traditional forms with contemporary forms. The members are well trained when it comes to dance, music and theatre. Sri Warisan was invited to perform for the opening of F1 Grand Prix Race last 2008. Their presence is known in Korea, Malaysia, Tokyo and other countries in the region. 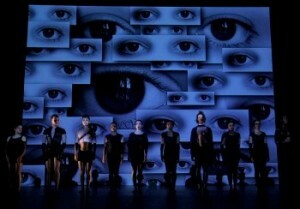 The company is comprised of thirty performing artists. They also train about two hundred student performers. The Dance Ensemble is famous for promoting Chinese dance and arts here in Singapore. The troupe pushed their limits because they have performed at many dance and cultural festivals not only in Asia but around the world. The troupe is also supported and funded by the National Arts Council. The Dance Ensemble provides training and other upgrading plans for local talents. If you are not contented, there are other theatres or performances that you can consider. You can for instance consider Singapore Dance Theatre, Lion Dance, Odyssey Dance Theatre, Bharatanatym and many more.